The latest in Belkin’s WRT series, the 3200 ACM Linksys WiFi router offers incredibly fast file-transfer speeds, open source firmware support, 1.8Ghz dual-core processor and a high Flash and system memory – and all this is at a truly decent price. It gives its predecessor a run for their money, upping it’s Flash memory from 128MB to 256MB and increasing its dual core processor from the previous 1.6Ghz to 1.8. The open source firmware support also allows you to basically customize the router at your own free will, giving you complete control over its functions and features. It definitely has a lot of plus points in its capability department. As the years go by, consumers are starting to rely on and expect swish routers with a minimal, smooth design. Most major routers are starting to follow the same look. 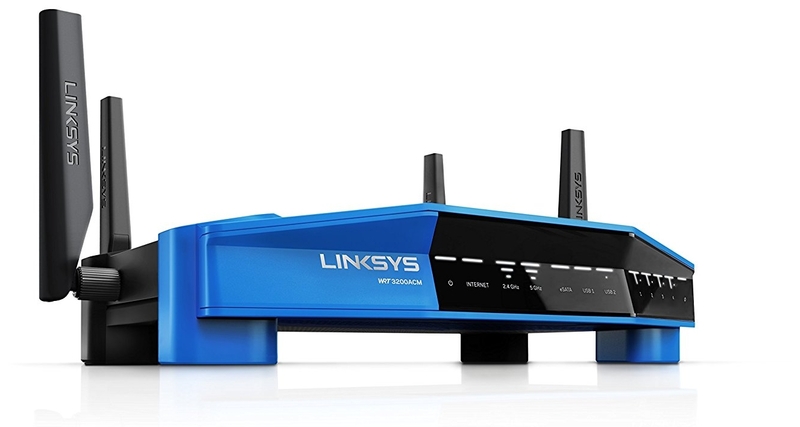 The Linksys doesn’t mess about with this sleek design, opting for the same style it has always had, looking almost like the head of a Transformer. But this “unattractive” side is not something to be considered a drawback. It is built that way purely for purpose – a better product, not just a better looking product. In other words, it is not designed to look good next to your coffee table, it is designed to do its job. And it definitely does not shy away from that. With MU-MIMO technology, the router allows you to simultaneously stream content, transfer files and game on multiple devices through it’s wireless band. The best thing about this ability is that it will do nothing to slow down the internet speed, making it incredibly convenient for multiple device households. 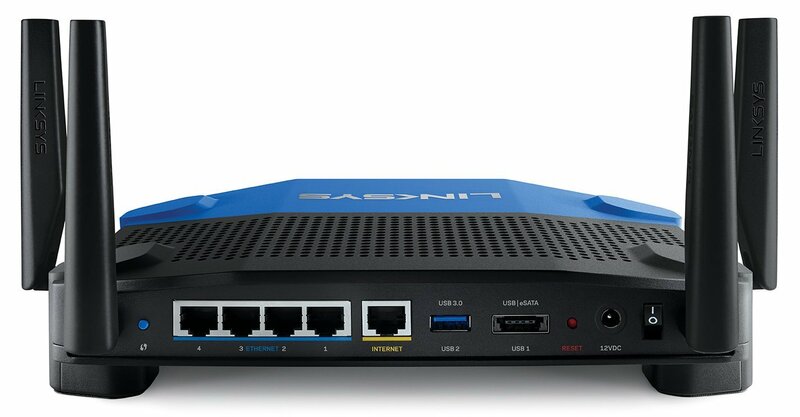 The newest in the Linksys line also boasts the latest Tri-band 160 technology, which means it is twice as fast as a regular router. However, this technology is not accessible to users considering laptops, phones and iPads etc are currently unable to support the Tri-band 160. So, although great on paper, this benefit is not one to be really seen in action. Unfortunately, the lack of clients for the high range features of the router makes this difference and impressiveness somewhat redundant. Not only that but it also does not offer what most customers are waiting for, which is a router that can span large households and offices without a lull in the WiFi speed. Putting walls between the Linksys and your devices creates the same problem we see with every router on the market: a serious lag. That being said, the speed and ability to work well in the busiest of environments is a huge plus. The range of coverage (through walls etc) is decent at best, but it’s host of features make it a force to be reckoned with in the grand field of multi-platform use. It also has an extremely user friendly set up system. 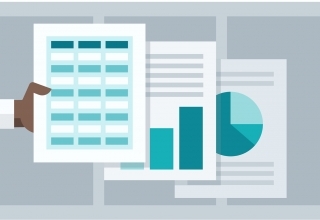 There is a manual configuration for the more knowledgable users or you can do it the easy way with the automated system if you prefer, which only takes a couple of minutes. Once it’s configured, you’re asked if you want to install updates and then sent set up the WiFi password and networks. Then you’re asked to create an admin password and whether you would like to connect the two network choices – for the 2.4GHz band, one for 5GHz – to one, convenient network or separately. Clear and concise, the whole set up process is pain-free and only takes a few minutes. Overall this high-end router doesn’t appear to offer much more than a regular router for an average user. Yes, the speeds are exceptional and the capabilities are there, but for difference that the typical consumer may notice or need, they are virtually invisible. High speeds and multi-platform use are relatively easy to find in 2017 and unfortunately it’s extra impressive Tri-band 160 feature is redundant at best. But if you’re looking for a router with a wide range of capabilities in a busy environment, the reasonably priced WRT 3200 ACM Linksys could be the router for you. Especially with its open source firmware support, which appears to be the real star of the package. It also comes with a vast range of advanced features that a lot of other routers lack, including the simple set-up process. But if you’re looking for that extra something, that special magical change, it could be hard to find.